Joelle Goodman is the Director of Operations at Pearl Realty. 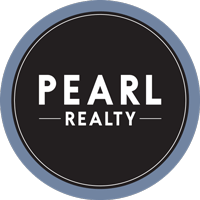 It’s her work ethic, strong sense of teamwork and commitment to building lasting relationships with clients that make her a key player here at Pearl Realty. Joelle learned these fundamental skills of fostering customer loyalty by providing superior service from the best – her parents. They opened a lighting store, Goodman’s Lighting, in Coeur d’Alene and Joelle spent her middle school and high school years working with customers in lighting design, helping them make their houses feel likes homes. Later, her parents sold the business and moved to Seattle to begin real estate careers in the early 1990s. In 2001 she, too, jumped into real estate as a receptionist at a local brokerage. In just a few months she became the Office Manager and watched the company grow from 25 agents to over 100 additional agents by 2008. She was trained in all aspects of the real estate transaction, from listing through closing as well as several successful audit results from the Idaho Real Estate Commission. She took a brief hiatus from working directly in real estate sales and accepted a position in 2012 as the director of the Coeur d’Alene Multiple Listing Service, learning a great deal about listing data and statistics while working with the entire real estate community. But, Joelle’s true passion is offering exceptional service to agents and clients in a team environment. That’s why she’s a perfect fit here at Pearl Realty. She has always shared her parent’s passion for helping others establish a home, and now, as the Director of Operations, Joelle oversees operations while ensuring our clientele receives the utmost quality of service. In Joelle’s free time she enjoys globe-trotting with her partner, Scott, around the world. Their favorite destination to date is Chang Mai, Thailand with its amazing culture, history, architecture, and the welcoming demeanor of the Thai people. And, the food –you just can’t get enough of it!